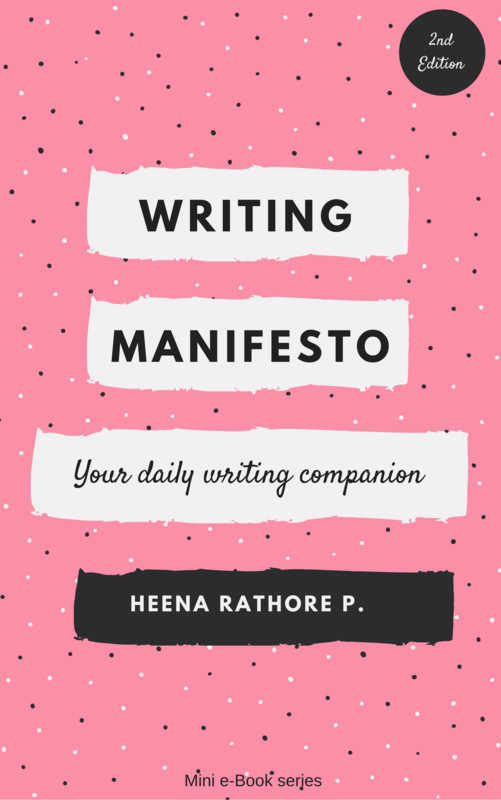 My Writing Progress – Heena Rathore P.
June 16, 2015 August 19, 2016 by Heena Rathore P.
Hi guys, I hope you all are having a great week-start. As promised I’m here to share about my progress with JuNoWriMo. If you are my friend on Facebook or Twitter, then you might already know about what I’ve been upto, but if not then read along. I participated in JuNo hoping that atleast I’ll get a couple of hundred words written, but amazingly and unbelievably, I’ve outdone my own expectations already (and it’s only been 16 days!) I’ve already written 32,000 words (almost 20 chapters and a few scenes.) The story just seemed to flow as soon as I started writing. I had only 2-3 bad days where I wrote less than 500 words. But other than that, everything’s going great I’m a bit stuck with the end of the book, but I guess I’ll figure it out by the end of this month. There’s still a bit of research left to do but I’m sure I’ll be done with the first draft by the end of this month. I’m planning to write a total of 1,00,000 words so that after the edits and all I’ll still be left with a 400 page novel. I’m planning to spend the next month making the changes and creating at the second and then the third draft of the book. Then it’ll be ready for the beta readers. After that I’ll be hiring an editor myself to get it edited. After that I’ll try and find an agent to represent me. Then I’ll be sending out the query mails to publishers (big and medium sized) and simultaneously with the agent. I’m hoping to be accepted by a big publisher (Harper Collins or Penguin)-fingers crossed. 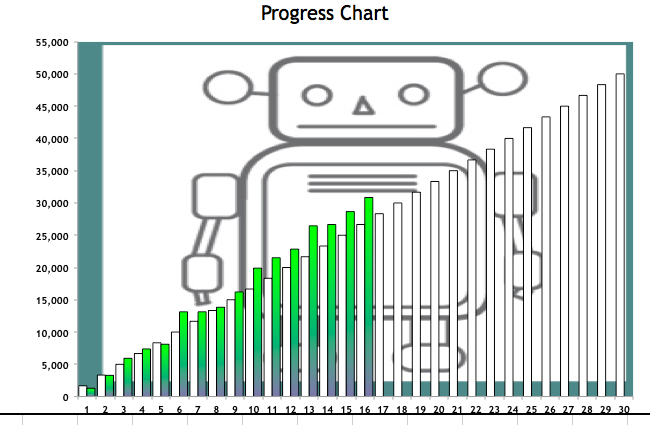 This graph is a part of the Word-Tracker provided by JuNoWriMo. Would you like to be able to get into the head of a psychopath or the victim? Would you like the chapters to be long or short? Do you like a book with strong emotional connect with the MC (Main Character) when you know something terrible is going to happen to them? Hey Bruce, Thanks you so much for responding! I really appreciate it! Impressive progress, Heena. 400 pages sounds ambitious for a first novel. Psychological thrillers aren’t something I read too often, but I think I’d rather be in the head of the victim than the psychopath. Although that said, the psychopath’s thoughts would probably be the more interesting. I don’t think I’d want an emotional connection with either – too dreadful with the psychopath and too sad with the victim. I love reading series and following characters, but I’m not sure it would work as well with psychological thrillers. I wouldn’t want to follow a psychopath for multiple books! For a series to work, it would probably need to be an investigator of some sort. That would also be the only way an emotional connection could work for me personally. That poor character, lol. I ‘might’ be sympathetic. For me, it would depend a lot on who the victim was and why. Not sympathetic at all if the victim was just random on or no way connected with whatever bad things happened to the killer. Yea, it’s a bit too ambitious I guess. I’ve been doing a bit of research and now I’m thinking of keeping the length not more than 300 pages, now that of course will depend a lot on the ending of the book, but still I’m gonna keep the backstories a bit in check. Haha! I understand and I guess the main motive of my book is really to make the reader feel an awful amount of dread… hehe! I’m planning to keep the story simple with snippets of Psycho’s journal entries thrown in every 40-50 pages… how does it sound? I guess the connection will make it seem more personal rather than the random killings of the psycho. Ambitious isn’t necessarily a bad thing. Just think of Jean Auel’s Clan of the Cave Bear, a great first novel and rather long. Since you want the reader to feel ‘an awful amount of dread,’ it sounds like you’ll succeed and in that case going into the victim’s thoughts and head would probably work the best. Great idea with Psycho’s journal entries. That’s the way of getting into his head without limiting yourself to that point of view. I'm almost done with the first draft… I'll be doing the second draft this month only. Hopefully the book will be ready for Beta reading by second week of July. 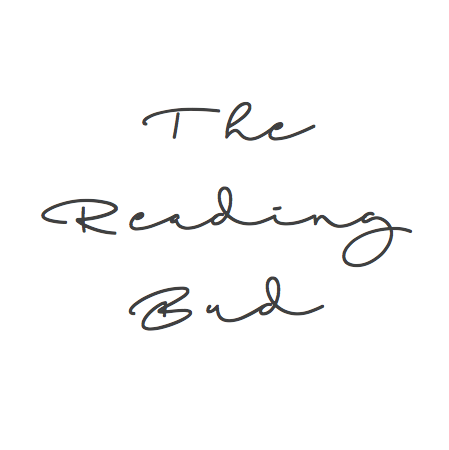 I don’t know any Beta Readers. If you need me, I would be willing to help you. Psychological thrillers aren’t really my cup of tea; those moments of dread terrify me, lol. But I’m good at proofreading and pretty good at continuity. I’ll send you my email address. 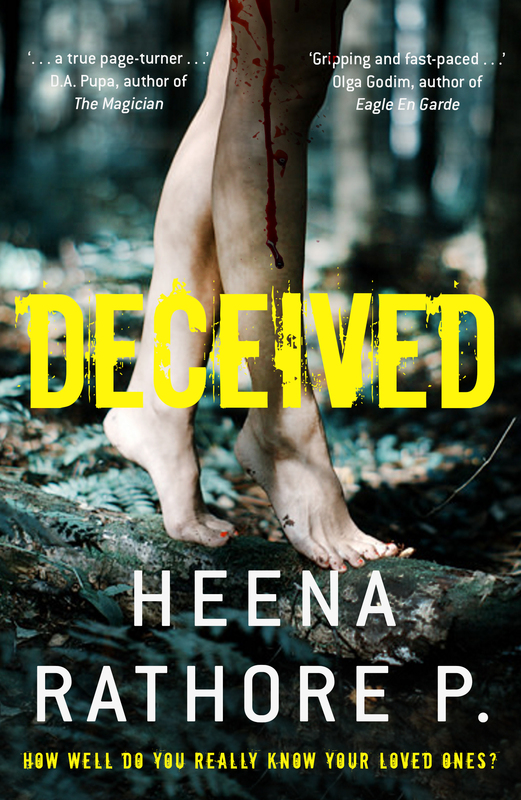 Oh my Heena – 1 million words – you are making very good progress and should be done in a few months at the rate you are going now. I personally would prefer stand alone so that I could get the entire story all at once with the ending. I think I would like to get into the head of both the psychopath and the victim. I’ll probably tone down the word count a bit but still I’ll have atleast a 300 pages book. Yes – a sketchy – mysterious image for the psycho would probably keep the readers engaged.. Keep up the good work..!! I’ll keep these points in my mind while working on my book’s sub-plots… Thanks! 1. I don’t read much of thrillers, but if I read, I love that it has turns and twists, I love to read the thoughts of the characters and more of their own inner struggles. 3. I always loved long chapters and books, but now after I’ve read lots of short chapter books, I find it very nice and I like it even more now. I can take a break from reading faster and get back into the story better. 4. I really do. Even if the main character will die, lol, I still love to know that I got to know it and even though the lost will be hard, if the story needs the MC to die, I think it could make the story better. Thanks a lot sweetie for taking out time to answer these questions! I really appreciate it!